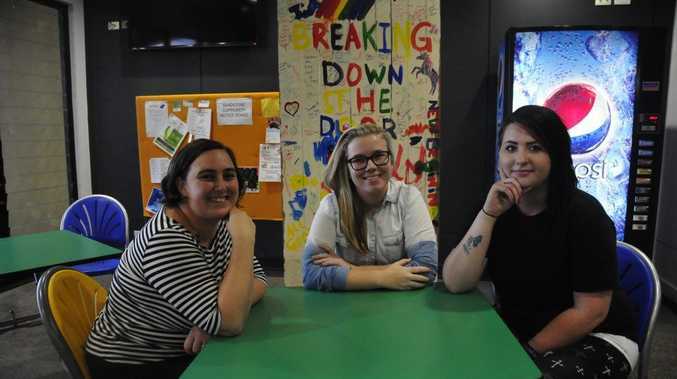 Kristel Kelly, Ashlee Ryland and Emily Patterson say Gladstone is an accepting town. 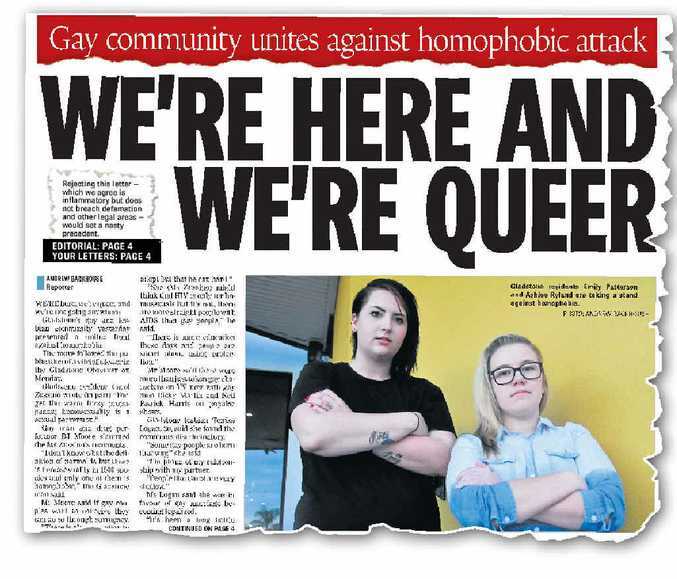 HOMOPHOBIC attacks are par for the course for Gladstone's gay community - especially when the Observer is publishing them. 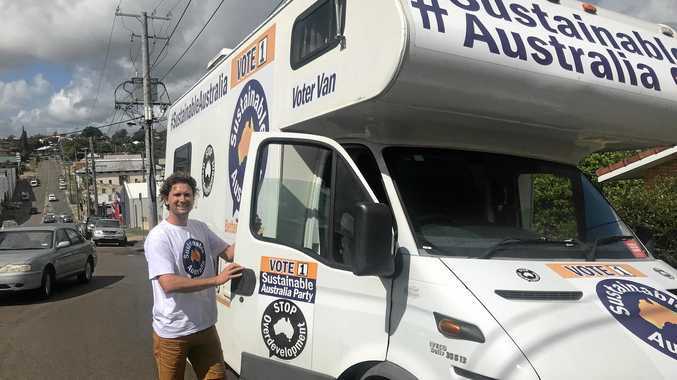 Lesbian Ashlee Ryland said she had been abused by residents and suffered discrimination since moving to Gladstone from Townsville, but that things are improving. The 21-year-old said a passing motorist yelled "dyke" and other expletives at her once when she walked down the club strip. "It (homosexuality) is more hidden in Gladstone than in other towns; people don't like to talk about it," Ms Ryland said. "Most lesbian, gay, bisexual, and transgender (LGBT) people move away to places where being gay is more acceptable." Ms Ryland, who works at a radio station, said town attitudes were changing. "It was great to have the support of Mayor Gail Sellers at Gladstone's first gay pride event in December," she said. Emily Patterson, 19, came out in 2010 at high school. "I lost a few friends but my mother was very supportive," Ms Patterson said. Ms Patterson and her partner proudly walk down the streets of Gladstone holding hands, which sometimes elicits a "dirty look". "No one has said anything nasty to us yet," she said. Kristel Kelly, who is married with kids, identifies as bisexual. "When I first moved here I didn't tell people about my bisexuality," she said. "Gladstone has a reputation of being an industrial and male-orientated city. I found out Gladstone is a lot more accepting than people think. "There's been a change in population, with people coming from around the world and attitudes are constantly being refreshed." Ms Kelly said events like the Marriage Equality Rally in November 2012 let the gay community meet and support each other. The 34-year-old is administrator for Gladstone's gay Facebook page. It has more than 470 members.